The other night I posted on my M.A.S.K. 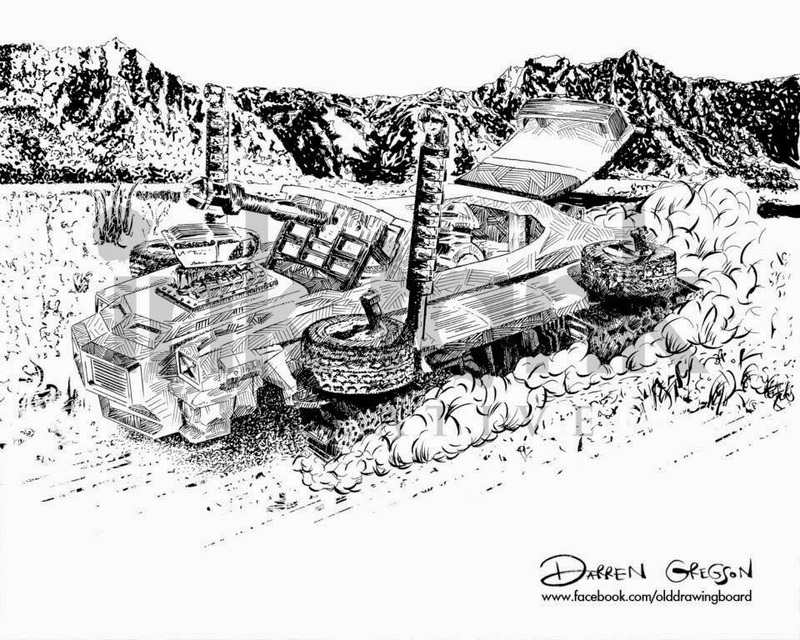 Comics BlogSpot an article about Darren Gregson of Back to the Old Drawing Board. Darren is an amazing artist with a love of all thinks M.A.S.K. (and V.E.N.O.M.) and is part of a joint strategy coming next month. Not long after I posted the article and Darren had posted his most recent amendment to his Stinger Drawing - adding in a backdrop to is already great picture. This is why I love M.A.S.K.!!! Please visit and like Darren's page. Remember that you can also invite your friends to like his page also - I've already done it! We need your support to keep this Bring Back M.A.S.K. Campaign going! Please share all posts and hashtag with #assembleMASK across all social media sites and invite your friends to like the M.A.S.K. Comics Facebook Page. Please go to the Change.org Bring Back M.A.S.K. Petition and sign up. If you have a Facebook Page or Website who is interested in joining the campaign and would like to know how to get involved next month - feel free to e-mail me!